Spend less time testing and more time building. you'll achieve full Continuous Testing Agility. You’re evolving quickly as an agile organization, breaking down walls to increased productivity. But to create a seamless delivery pipeline, testing has to keep pace with a quickening development lifecycle. 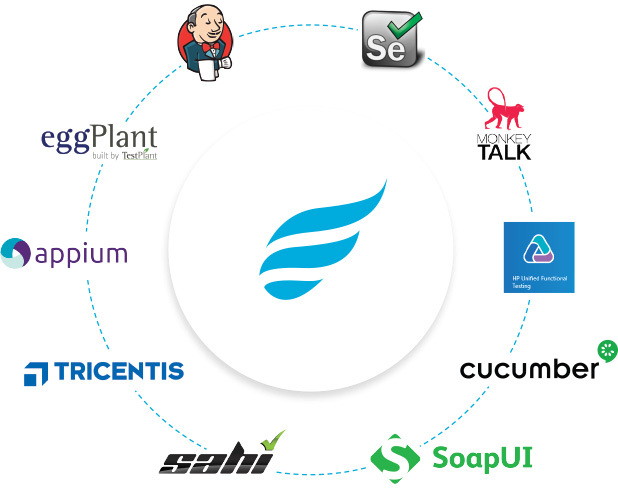 Zephyr is the only test management solution your organization will ever need—or ever want. We were the first test management tool to work natively inside JIRA and along with Atlassian tools, offer a seamless user experience and extensive breadth of functionality. Accelerating the speed of text executions and range of test coverage begins and ends with Automation. Our Vortex product makes it a breeze to set up automatic testing that initiates with just a click and integrates with 30 popular automation frameworks. Your organization is becoming a lean, mean, software development machine, implementing new processes to reduce code development time and build a more stable infrastructure. Zephyr arms you with end-to-end visibility across the Requirements, Test Management System, Build and Defect tracking to boost productivity and improve resource utilization. Shift from reactive to proactive decision making through Zephyr’s machine learning. 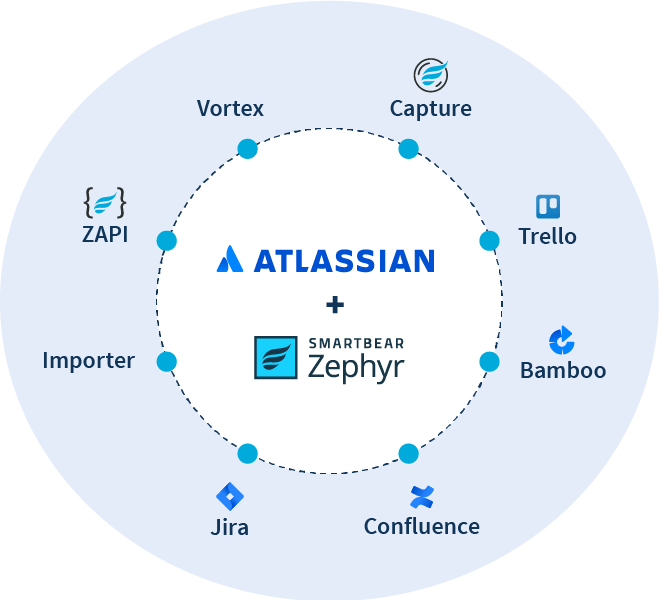 By maximizing use of automation, optimizing test case implementation, and defect trend predictions, Zephyr turbocharges your software delivery pipeline. Your team is growing rapidly so we made Zephyr stacked for scale. Our clustered Horizontal Architecture supports some of the largest enterprises in the world with 50,000+ users. As your agile team expands, use of automation increases, and your database of test code and test case load exponentially grows. Even though you’re moving fast, the wheels of productivity must never wobble or fail. Zephyr ensures the highest level of reliability and availability and provides full deployments to fit your needs, whether cloud, on-premise server, distributed network or data center. The most widely used and trusted quality assurance tool on the market, Zephyr is the #1 choice of high-security organizations. By constantly testing and re-testing against the most stringent third-party benchmarks, Zephyr passes clients' application security tests, protecting data while revolutionizing testing. Zephyr provides a full range of support plans to accommodate teams of any size and any type of location dynamics. We ensure that onboarding is made easy with zero downtime during the migration process by providing extensive training tools and product feature demonstrations. Dedicated Data Migration Service is also available. Zephyr provides tools and adapters to expedite migration of cloud or server data from tools including HP ALM. No one else offers real-time results like Zephyr. Start your free trial today and see the better QA solution for yourself.